The KingQuad 400FSi comes loaded with hard-working features to support you no matter what task you’ve set your mind to. An impressive amount of torque and incredibly wide power band will help you charge through whatever chores or trails are in front of you. Easily switch between two and four-wheel drive modes to optimize performance on this aggressively styled Semi-Automatic four wheeler. 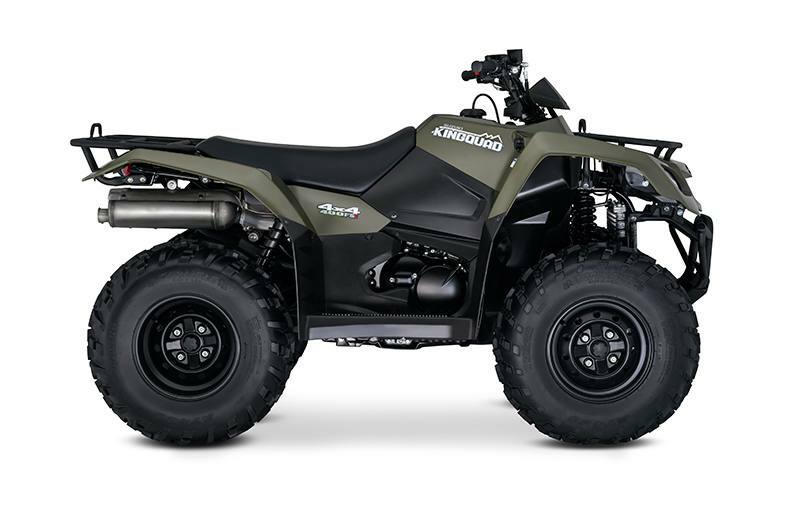 A five-speed transmission and automatic clutch give the KingQuad 400 FSi the versatility that KingQuads are known for. 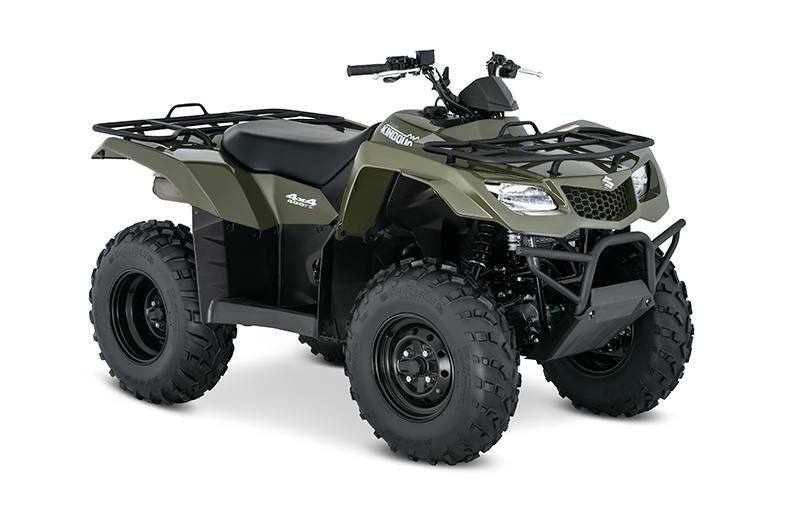 The KingQuad 400FSi features a fuel-injected 376cc four-stroke, four-valve engine with new cam profiles and inner structures of the muffler (for more powerful and efficient performance). The KingQuad 400FSi comes with electric start. A start-in-gear system—functional when the rear brake is applied—allows starting the engine without shifting to neutral when conditions warrant. A five-speed transmission with semi-automatic clutch with reverse allows the rider to select their gear position for maximum traction and fuel efficiency. You can select two- or four-wheel drive operation with the flip of a handlebar-mounted lever. 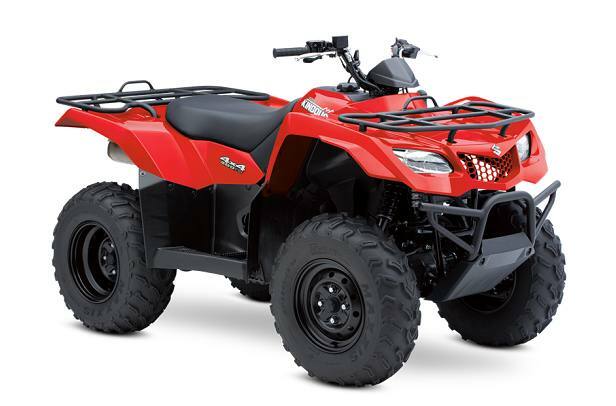 The KingQuad 400FSi shaft drive system is reliable and durable, and provides nearly maintenance-free operation.